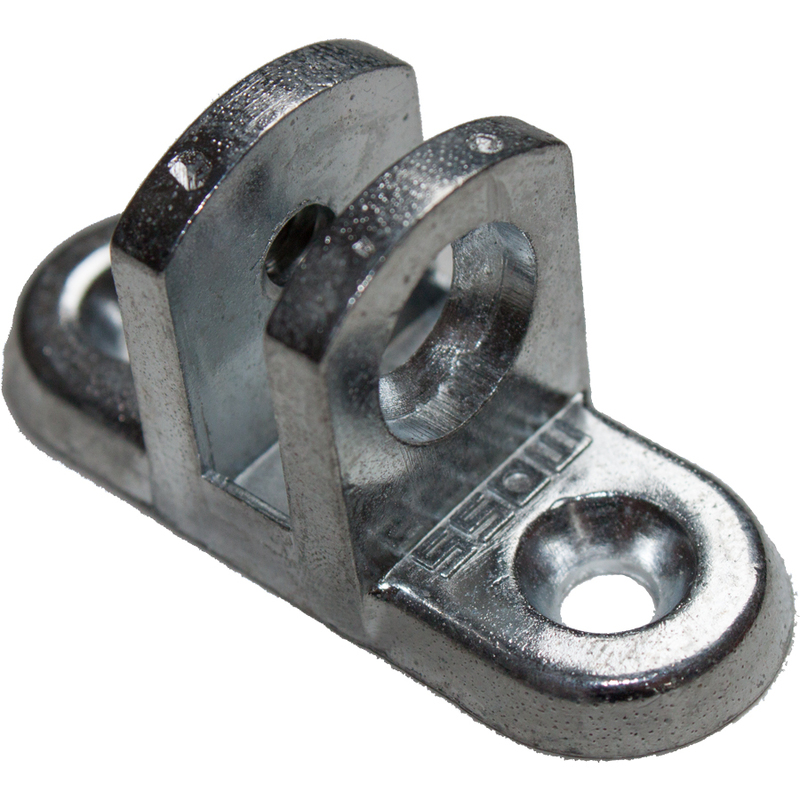 Ideal for single or double pulley. Holds pulley in place whilst allowing some movement. Die cast from zinc alloy. Zinc plated anti corrosion finish. The Moss pulley adaptor is cast from zinc alloy and is designed for use with a single or double pulley. The pulley adaptor holds the pulley in place in place whilst allowing slight movement when pulling the cord up or down, when used on a roll up blind. The die cast process is done under extreme pressure, which results in a very uniform material cross section void of internal defects, therefore creating a very consistent product with regard to finish and strength. Moss pulley adaptors have been consistently used throughout the Australian awnings, flags and blinds industry for the past 50 years. 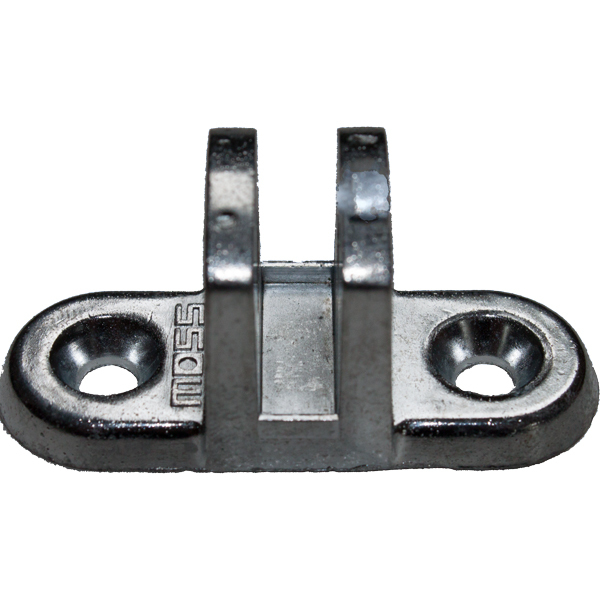 » Ideal for single or double pulley. » Holds pulley in place whilst allowing some movement. » Zinc plated anti corrosion finish. Or want more information about our product range? © 2015 Moss Products. All Rights Reserved.